Enjoy and leave the driving to us! Being in a NJ bachelor or bachelorette party is about having a great, safe time with your friends for the bachelor/ bachelorette’s last night out. What better way to do this then to rent a NJ limo bus or NJ limo from Action Limousine! Plan your ultimate bachelor or bachelorette event in NJ or NYC with Action Limousine. We offer the best way to hang out with friends and turn heads as you pull up to city’s hottest night spots. Our bachelor / bachelorette packages offer true VIP treatment. 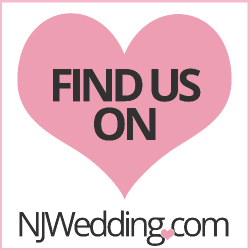 Our fleet includes luxury limousines, SUVs, Stretch SUVs and NJ limo buses! Action Limousine will take care of the hassle of planning your fantastic Bachelor or bachelorette event. Just imagine the fun you can have in your private NJ limo as you hit some of your favorite places in New York City and New Jersey. We will wait for you while you dine in your favorite restaurant or enjoy the entertainment at one of the New York City Clubs. NJ limousine service and NJ sedan service can provide you with the most luxurious and clean bachelorette limousines, whether you require NYC bachelorette limo transportation or NJ limo bus transportation. Action Limousine is also offering a Bachelor limo service special at Sapphire Gentleman’s club in NYC! Sapphire is located at 333 East 60th Street, NY, New York. With this special you receive free admission for every guest and free drink for you and your guests! When the driver arrives at the club they will distribute these complimentary cards to the guests and provides the sapphire door staff with: company name, driver’s name and their telephone number. Why not be VIP on your last night out?